Such a beautiful morning here today. The sunshine got me out of bed early. In the shade things still had a coating of frost. 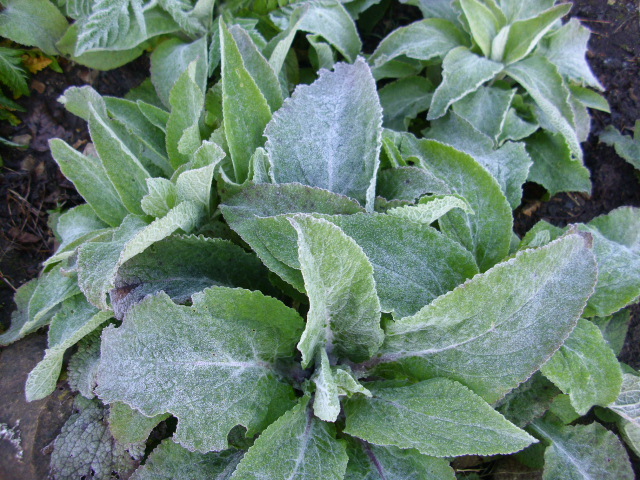 The Foxgloves looked particularly attractive with their frosted leaves. Fab to see a bright blue sky to start the day. 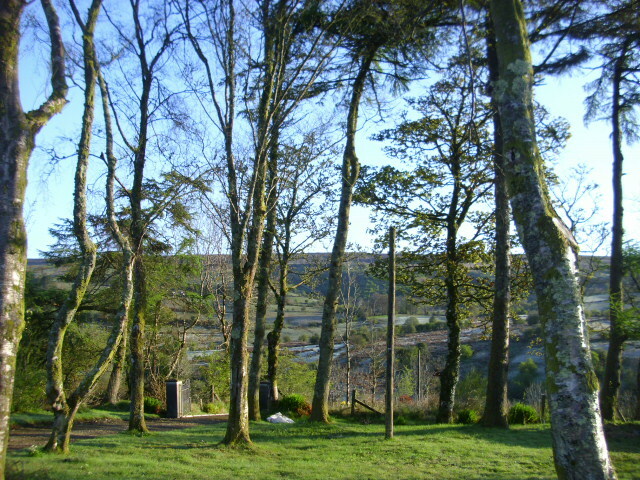 In the background is Corry Mountain. 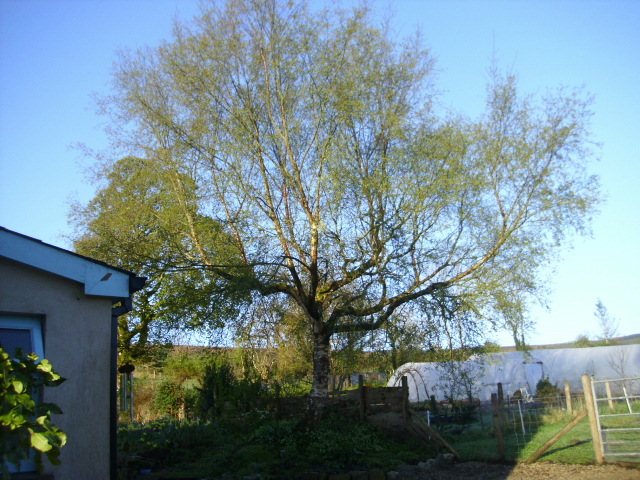 My Favourite Birch is almost in full leaf now. This part of the house faces west and will be in full sun by afternoon. 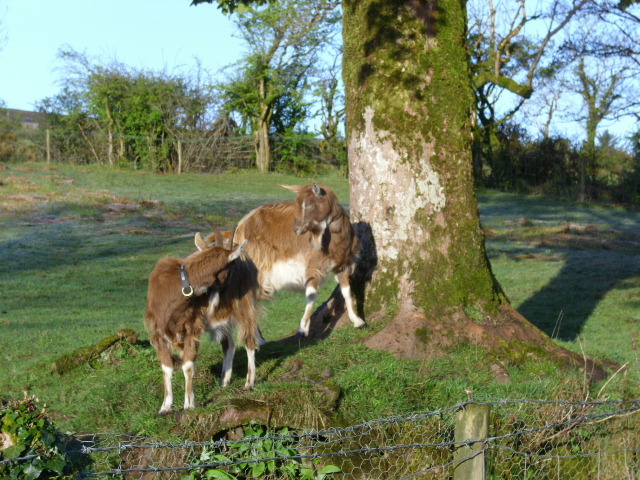 The goats were enjoying the morning sun underneath the big Sycamore in the back field. Enjoying breakfast…they still get extra food in the mornings. The evening feed has been stopped as the grass becomes more plentiful. 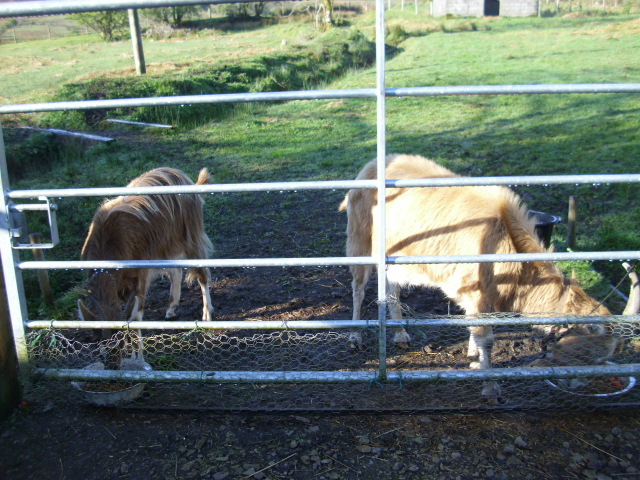 By next month they won’t need any supplementary feeding as the grass will be abundant by then. 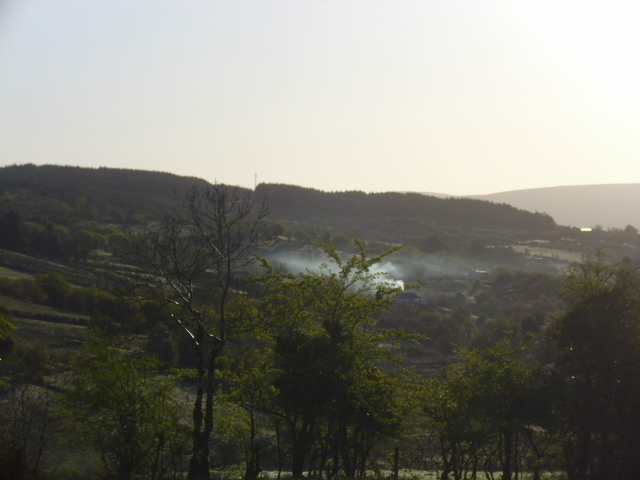 Across the river the smoke rises from this cottage as the stove is lit. Another day begins in the valley.